is an award winning film producer, screenwriter and director. His production of a 10-episode dramatic TV series titled We Are New York, which was funded by and produced for the Mayor’s Office of New York, won two Emmy Awards in 2010. Krakowski received his education at the Polish National Film School in Łódź. He studied under several prominent film directors and worked as an intern assistant to Andrzej Wajda during the making of Ashes. Attacked in the press after the March ’68 student demonstrations, Krakowski was unexpectedly offered a scholarship in Hollywood. Shortly after his arrival in the U.S., he was stripped of his Polish citizenship and forbidden to return. While Krakowski began learning English, his father’s protégé Roman Polanski began introducing him to the ways and names of Hollywood. In 1970, alongside David Lynch, Terrence Malick, Paul Schrader and Jeremy Kagan, he became a producing auditor, and then fellow, at the American Film Institute. During this period he worked on and line-produced several films for his AFI colleagues: Terrence Malick’s Lanton Mills, Richard Patterson’s The Open Window, Jeremy Kagan’s Love Song by Charles Faberman and Oscar Williams’ The Final Comedown, launching careers of such actors as Ron Rifkin and Billy Dee Williams. Some of those films eventually attained a cult status and are being taught at American colleges as part of film curriculum. Upon completing his education Krakowski joined YASNY Productions, Inc. as head of production. Among films he had green-lighted and supervised production of was the 1976 Oscar nominated feature documentary California Reich. After leaving YASNY, he continued producing films with his own Filmtel, Inc, including Portrait of a Hitman, starring Rod Steiger and Jack Palance, and White Dragon with Christopher Lloydand Dee Wallace Stone. The latter was the first co-production between CBS network and a Polish government owned studio (“Perspektywa”). In less than three years Filmtel grew from a small production company into an international production and distribution conglomerate with offices in Los Angeles, New York, London and Sydney. Expanding into television Filmtel co-financed and distributed such successful TV shows as The Richard Simmons Show (for 4 years #1 daily-strip show) and Showtime’s XIV International Championship of Magic, hosted by the legendary Tony Randall. 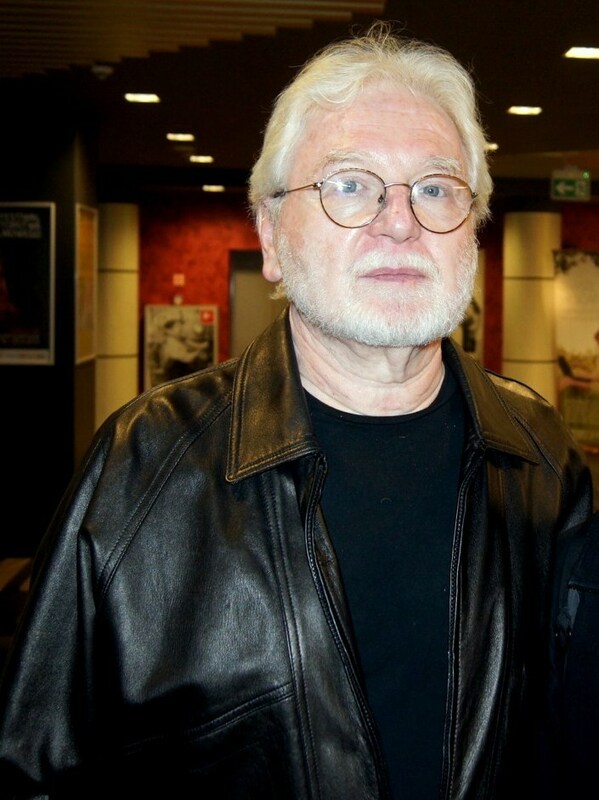 After selling Filmtel Krakowski returned to his first love and today his screenwriting credits include: Triumph of the Spirit, starring Willem Dafoeand Edward James Olmos, Eminent Domain, with Donald Sutherland and Anne Archer, Tides of War, a vehicle for Ernest Borgnine and David Soul, Genghis Khan with Charlton Heston, the most expensive Italian production to date, Ogniem i Mieczem (With Fire and Sword), the highest-grossing film in Poland, and Managua, with Louis Gossett, Jr and Assumpta Serna in the lead. Facing the loss of his wife to breast cancer, Krakowski wrote, produced and directed a feature-length documentary The Politics of Cancer, which received theatrical distribution in the U.S., and were shown at the Cannes, Palm Springs and Santa Barbara Film Festivals. During 1997-2002 Krakowski, aside from his creative work, became a co-founder and Chief Creative Officer of two successful television networks: the first dual platform (over-the-air and satellite)in Central Europe NaszaTV in Poland and the first US Internet TV network (ForeignTV.com) in New York. In the last decade Krakowski produced and directed a feature film based on a popular comic book Campfire Stories, which has been sold to over 30 countries, a hit stage musical in Tokyo Felix The Cat’s Musical Journey, a feature-length docudrama Farewell To My Country, chronicling the expulsion of the last Polish Jews from their homeland in 1968, and several commercials for Mercedes and BWIA airlines featuring Geoffrey Holder. Krakowski’s latest feature film Looking for Palladin was shot in Antigua, Guatemala. The cast includes such veteran American actors as:Ben Gazzara, Talia Shire, David Moscow and Vincent Pastore, as well as Latin American stars: Anjelica Aragon, Pedro Armendariz Jr., Roberto Diaz Gomar and the Morales Brothers. The film won several awards at international film festivals such as Best Feature Film at the Queens International Film Festival; Best Feature Film and Best Ensemble Cast at the Orlando Hispanic Film Festival, and Best Production Company at the Napa/Sonoma International Film Festival.” It was released theatrically in 2010-11. Krakowski’s latest TV production, a 10-episode dramatic TV series titled We Are New York, was nominated for four and won two Emmy Awards in 2010. Krakowski is the author of several books, among them: Pollywood and The World Through The Eye of a Screenwriter, as well as contributing co-author of the New York Times bestseller No Better Friend. Krakowski holds Ph.D. in Film Art from Polish National Film School in Łódź and is one of the founders of the highly awarded (5 student Oscars within its first 8 years) SUNY-Purchase film program. He is a tenured professor and the former Chair of Media & Communication Arts Department at the City College of New York where he currently teaches film directing, screenwriting and production.